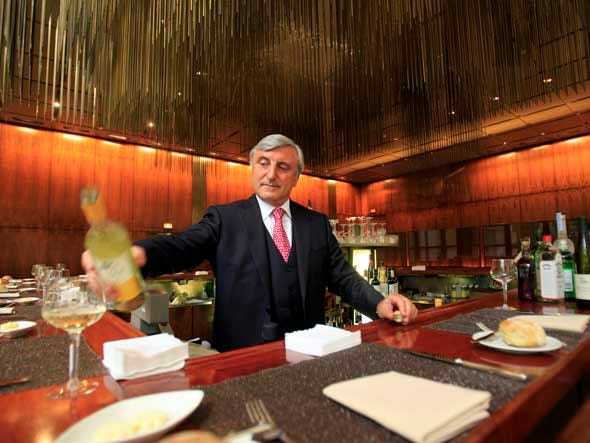 Talk to restauranteur Julian Niccolini, and the way he tells it, it’s almost the right time for him to take a break from the world of fine dining. “People don’t have as much fun anymore,” he told me as we sat in a quiet corner at a table in his landmarked restaurant, The Four Seasons on 99 E 52nd Street in Manhattan. 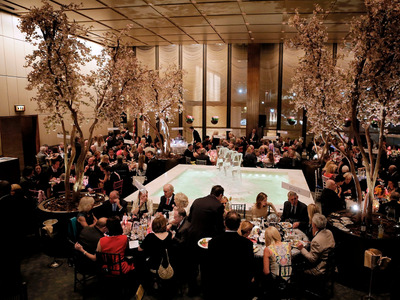 For the Wall Streeters and CEOs, the fashion executives, publishers and political power players who’ve been dining at the Four Seasons Restaurant since 1959, fun — if you’re looking at the serene, cathedral-esque dining room at lunch — seems like it could be a quiet measured conversation about fiscal responsibility. Maybe a very civilized discussion on fiduciary duty. But that’s not really what Niccolini means. An example; Once upon a time in the 1980s, an unnamed Wall Street banker called the restaurant and said that while sadly he wouldn’t be able to come for dinner, he would be sending some of his close lady friends. Fun, apparently, was also private performances from say, Aretha Franklin and Elton John. It was various birthdays and corporate gatherings and engagement parties of the 0.01%. It was hosting presidents and celebrities and dignitaries. It was lunches with Charlie Rose and Zac Posen and Barry Diller (at his center table). But the fun is over, at least for a while. The exact date when Niccolini and his decades-long business partner Alex von Bidder will open another iteration of their restaurant down the street is as yet unknown. What we do know is what will happen to the space they once occupied. It’s getting a full dining in New York City in the year 2016 treatment. 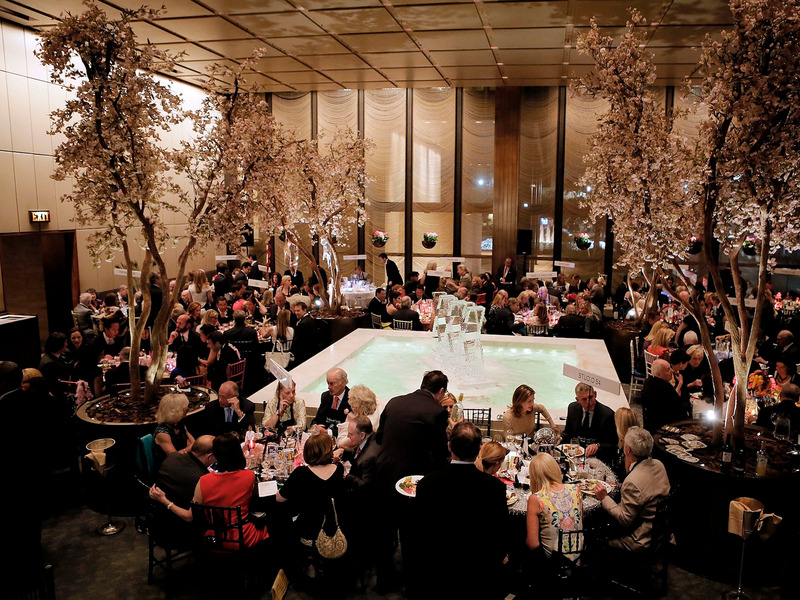 The Four Seasons Restaurant was landmarked by the city of New York for its glorious interior space in 1989. That, however, did not make it untouchable. The restaurant is located in the Seagram Building, which is owned by real estate tycoon Aby Rosen. And something like two years ago he started showing signs that he was not happy with his arrangement with von Bidder and Niccolini. The first sign was that he took down “Le Tricorne,” a Picasso wall hanging that had been hanging in the Four Seasons for 55 years. Art experts told Rosen, a contemporary collector, that if it was taken down it might break. But it’s gone now. Rosen had it taken down and the New York Landmarks Conservancy, its owner, gave it to the New York Historical Society so it could hang next to John Audubon watercolors of geese or maybe some dioramas. After that he raised Niccolini and von Bitter’s rent from $20-per-square-foot to $105 per square foot. There’s reason to believe it just wasn’t about the money too. About a year later he gave The New Yorker the impression that he wanted the clientele in the restaurant’s two massive dining rooms to change. I say impression, but perhaps that too gentle. This was after he referred to himself in the third person during the interview. In keeping with his contemporary sensibilities, Rosen has hired Major Food Group, the hottest restaurant group in New York City, to take over his 587 seat dining experience (the deal includes a separate restaurant, Wall Street power breakfast spot downstairs, Brasserie). Major is run by a four of New York City natives whose sensibilities have generated massive hits like Carbone and Dirty French (to name just two). Their restaurants are loud. You cannot get a reservation. And the staff does not know you — not if you’re in the industry, not if you’re a downtown kid, not if you’re a Wall Streeter willing to drop tens of thousands of dollars on a private party…maybe if you’re Woody Allen. According to a prospectus that’s been making its way around the New York City fine dining community, Rosen plans to raise $30 million dollars to revamp the two restaurants. Half of that will be used for construction. The restaurants are projected to generate over $52 million in revenue the first year. 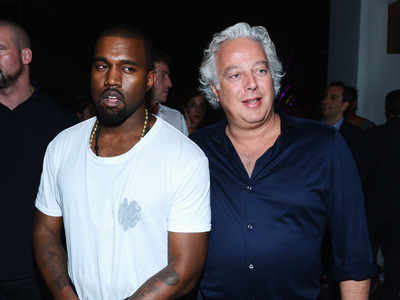 Getty ImagesKanye West wears a T-shirt and jeans, maybe that’s what Rosen (pictured) is talking about. That said if you do decide to contribute to this crusade you become a “member,” which is a status we’re certain many in New York City would like to take up. It’s all defined in the prospectus. • 100% of the distributable cash until they receive an amount equal to 120% of their initial equity. • Once all members have received 120% of their initial equity, distributions will be made as follows: 40% to members, 60% to Ginger Ale LLC. • Members will have a 40% interest in 375 Park Food LLC. This project will be managed by Major Management TCZ LLC. There will be a 5% management fee. We estimate total first year revenues, under a relatively conservative case scenario, to be over $50M and to generate an operating profit of $8M. In this scenario, investors will receive approximately 120% return on their original investment within 4 years, and an IRR of 19%. Now Cirino is a gentleman, he doesn’t talk much and especially not about other people. What’s more, two of his company’s restaurants, Marea and The Four Seasons’ neighbour, Vaucluse, will likely see their customers more often once The Four Seasons is closed for business for a while. But there are others in his community who are whispering that Major has taken on more than it can chew. It plans to turn the two dining rooms in the Four Seasons, The Pool Room and the Grill Room, into two separate restaurants, ostensibly. 1. The Grill Room will be classic. It will pay homage to the historic food of The Four Seasons and of America through the years. Every element of the experience will be upgraded and improved, but the soul will be something familiar. There will be duck and there will be Dover sole, but there will also be a newly-restored outlook on what this upscale restaurant can truly be. 2. The Pool Room will be a fantastical adventure in fish and seafood. It will be innovative. It will be extravagant. It will aim to create the greatest dining experience in the world that is full of fun and that exhibits unparalleled levels of quality. From the beginning to end, this restaurant will be like no other. According to Major’s discussion of this matter in the New York Times, there will be a tasting menu and specially designed trolleys for food display and tons of other budget busting extras. And so the industry is talking. Part of this is naturally upstart envy. But another part is just the reality of the two different worlds colliding with this project. It’s an Uptown vs. Downtown thing. Uptown, clients want the quiet, they want to be remembered, they want to be served. Downtown, they think, is noise. And so many of them have rallied around the ringmasters of their hushed circus. There was a time when restaurants were extravagant affairs, when Wall Street was wilder with its wads of cash. Back then, at least I’m told, the parties were crazier and no expense was spared on any lunch or dinner. Eating was an event. “That’s over,” Niccolini told me. Now he says a lot of restaurants are doing too much of the same. And it’s a staid same — a lukewarm version of the fund that was. People always say that, but of course, they’re usually not talking about anything special. They’re talking about a place that can be replaced. They’re talking about an atmosphere that can be replicated in some other location given the right people and the right time. Usually, though, they’re not talking about the end of a place that’s been around for 57 years. Every now and then you get an outlier.